Convert and author of many books, including By What Authority? 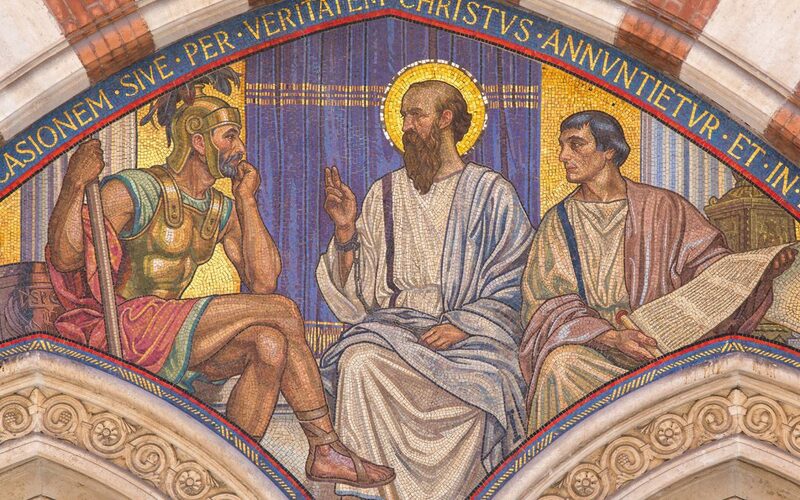 : An Evangelical Discovers Catholic Tradition, Mark Shea brought the conference to a close examining St. Paul and his influence on evangelization and apologetics. “When it comes to evangelism there is one commandment of Christ that all Christians are ready and eager to obey: Mark 1:44, ‘Go and tell no one.’” Shea quipped. Shea explained that there are two popular schools of evangelizing: one which tells you to shout on the street corner, and the other that says, simply live your faith, also known as lifestyle evangelizing. Shea proposed that you had to do both.